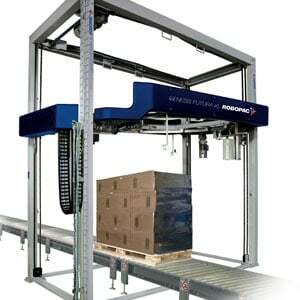 Robopac, established in 1982, is the world leader in pallet stretch wrapping machine with stretch film. 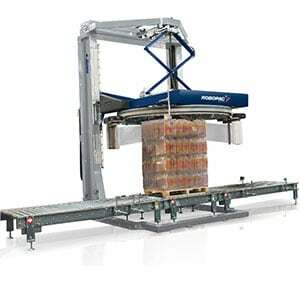 Robopac develops six types of machinery: robots, turntables and rotating arms to stabilise palletised loads with stretch film, horizontal wrapping machines with stretch film for elongated products and heat shrink film application. If you need high efficiency and your budget is somewhat limited, you can still benefit from a fully automatic turntable wrapper which provides you with high quality. 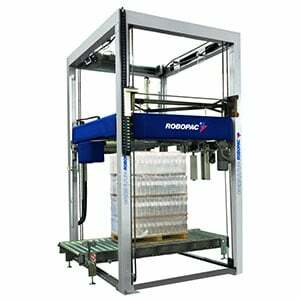 The Robopac range is easily integrated into a packaging line with their integrated conveyor and their compact size and not bulky. Their automatic turntable allows multiple configurations and the many options available provide great flexibility to adapt to all situations. Al Thika Packaging is the exclusive supplier of Robopac machine in the Middle East. Making the decision on which stretch wrapping machine is right for your production line takes much thought. A few products are more qualified for small production while others handle the requests of the world’s greatest organizations. Our stretch wrapping machinery expertise along with our reliable support will enable you to figure out which stretch wrap machine is best for your business. 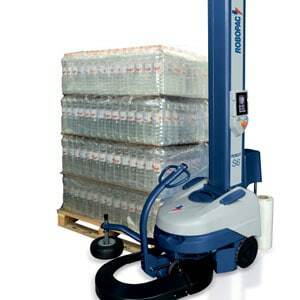 Genesis CUBE by Robopac Systems a high-production automatic rotating ring wrapping machine to wrap and stabilise loads on pallets with stretch film. 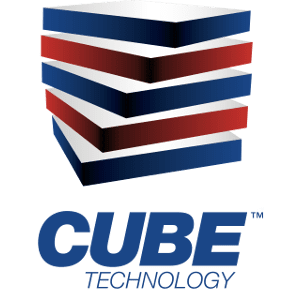 The Cube Technology pre-stretch system with pro-active control has allowed for high-speed wrapping without jamming, even with the goods being positioned incorrectly in the pallet. 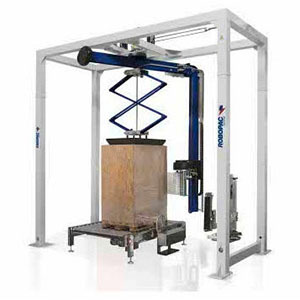 The specially designed scanning system recognises the dimensions of the pallet and the profile of the goods on the pallet, selecting one of the six preset programs. The system has proven to work very well. Reduces product damage on corners. Improves containment on flat sides of loads. Enables higher containment levels on each revolution. Delivers 30% to 55% film savings. 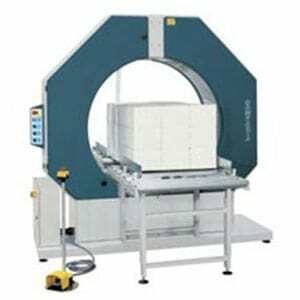 Powerful, plug & play and user-friendly, R-Connect is a “turnkey” system for the end-user: the main advantage is total “peace of mind”, which is absolute tranquillity regarding wrapping machine operation, which includes production performance verification and optimisation of all manage­ment costs. In fact, the system minimises machine downtime and manages maintenance oper­ations better, also providing an immediate troubleshooting procedure, until the full and remote upgrade of the machine’s management software is completed. 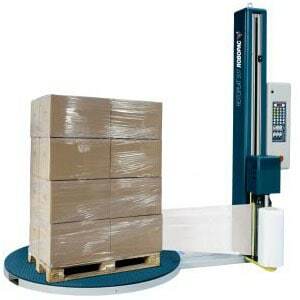 Can a Stretch Wrap Machine Benefit Your Business? When you utilize the correct stretch wrapping machine, it will guarantee that your goods are safely wrapped to maintain a strategic distance from any potential harm from dirt, dust, or moisture. Contingent upon the size and state of the pallet that you are wrapping, there is a lot of bending and twisting included guaranteeing that the whole pallet is wrapped all together. Indeed, even with flawless and square pallets, workers are strolling around in circles causing wooziness and exhaustion. The measure of physical work required with stretch wrapping a pallet by hand is high and regularly takes a ton of vitality that workers will require for the duration of the day. 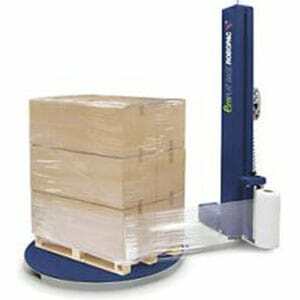 Moving up to a stretch wrapping machine can incredibly enhance the health, performance, and security of your distribution centre workers. By putting resources into a wrapping machine, you will spare a great deal of time. Manually wrapping pallets, boxes and different items can be tedious and also time-consuming. However, wrapping your products and boxes for storage or transportation with an automatic stretch wrapping machine will spare you a great deal of time and exertion that you can use in other important business processes. Compared to hand wrapping, both semiautomatic and automatic stretch wrapping machines will save your business money on high film costs. An automatic stretch wrap machine will help in fastening the packaging procedure and meet the mass packaging necessities in your business. 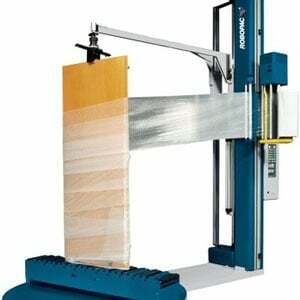 Stretch wrapping machines from Robopac can be tweaked to accommodate your one of a kind prerequisites. Al Thika Packaging is the exclusive distributor of Robopac company in the Middle East. 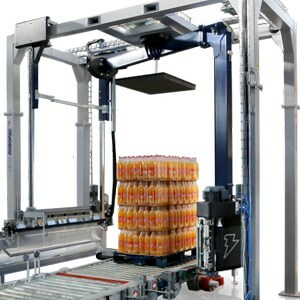 Since 1994, Al Thika has been supplying horizontal & vertical Stretch wrapping machines for food, beverages & non-food industries in Dubai, Abu Dhabi, Sharjah, Fujairah, Ras Al Khaimah, Ajman, Umm Al Quwain, Al Ain – UAE, Saudi Arabia, Bahrain, Oman and the many other Gulf countries.